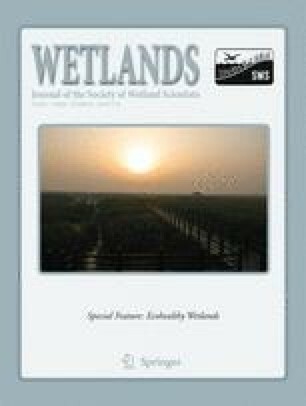 Salinity and inundation influence both wetland plant species diversity and productivity and are likely to change with predicted climate change. We investigated the degree to which these factors affect aboveground annual net primary production (ANPP) of pickleweed, Sarcocornia pacifica, at three tidal marshes spanning a salinity gradient in the San Francisco Bay Estuary, California, USA, including two natural marshes and one restored marsh. We collected S. pacifica biomass four times throughout the growing season, with roughly half of the collections in well-drained areas near channels and half away from channels, in areas of poor drainage. We examined the effects of site, channel drainage, and pore-water salinity on ANPP. Plots in well-drained areas had significantly greater biomass than those in poorly-drained areas. Most striking was the interaction between soil salinity and marsh drainage on aboveground productivity; salinity had a strong negative impact on ANPP in poorly-drained plots but had no effect in well-drained plots. In a recently-restored brackish marsh, productivity decreased with increasing distance to the nearest channel. These results suggest that within site hydrological dynamics have a strong influence over S. pacifica ANPP, with potential implications for the likely effects of shifts in salinity and inundation associated with climate change. This research was supported by the CALFED Science Program Grant No. 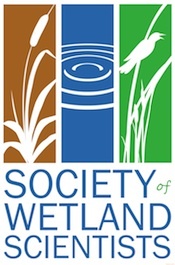 4600002970, as part of the Integrated Regional Wetland Monitoring (IRWM) pilot project, Science Grant #1037 from the California Bay-Delta Authority, and the National Institute of Climate Change Research (Department of Energy, Coastal Center). We thank the California Department of Fish and Game and the San Francisco Bay National Estuarine Research Reserve (NERR) for granting permission to access and collect at the study sites. We greatly appreciate the many hours of field and laboratory work put in by D. Benner, T. Cornelisse, Z. Diggory, T. Engle, S. Haines, and S. Santos. Additionally, we thank E. Herbert and two anonymous reviewers for editorial input.